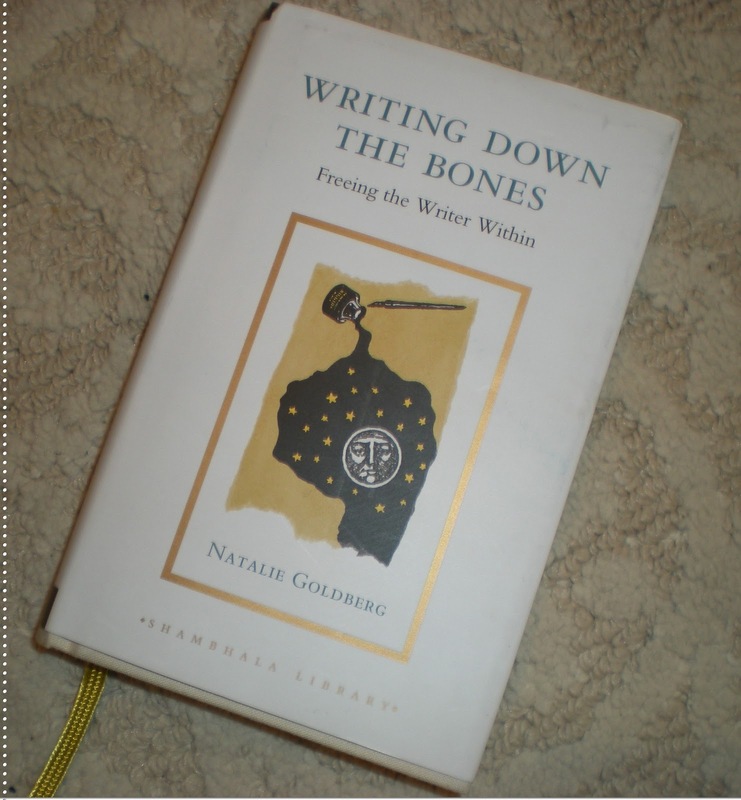 While I was home for Christmas, I read Writing Down the Bones: Freeing the Writer Within by Natalie Goldberg. It's a classic writing book, full of advice and encouragement. I know I've shared a couple posts about writing lately, but I have found that many of these ideas can apply to life in general and can provide inspiration for other non-writing areas. * Basically, if you want to become a good writer, you need to do three things. Read a lot, listen well and deeply, and write a lot. And don't think too much. Just enter the heat of the words and sounds and colored sensations and keep your pen moving across the page. * Take out another notebook, pick up another pen, and just write, just write, just write. In the middle of the world, make one positive step. In the center of chaos, make one definitive act. Just write. Say yes, stay alive, be awake. Just write. Just write. Just write. Finally, there is no perfection. If you want to write, you have to cut through and write. There is no perfect atmosphere, notebook, pen, or desk, so train yourself to be flexible. * Writers write about things that other people don't pay much attention to.... A writer's job is to make the ordinary come alive, to awaken ourselves to the specialness of simply being. * When you bake a cake, you have ingredients: sugar, flour, butter, baking soda, eggs, milk. You put them in a bowl and mix them up, but this does not make a cake. This makes goop. You have to put them in the oven and add heat or energy to transform it into a cake, and the cake looks nothing like its original ingredients... In a sense this is what writing is like. You have all these ingredients, the details of your life, but just to list them is not enough. * You can't straighten up during writing and then hunch back down when you let go of the pen. Writing can teach us the dignity of speaking the truth, and it spreads out from the page into all of our life, and it should. Otherwise, there is too much of a schism between who we are as writers and how we live our daily lives. That is the challenge: to let writing teach us about life and life about writing. Let it flow back and forth. * So even though life is not always so clear, it is good to express yourself in clear, affirmative statements. "This is how I think and feel." "This is who I am in this moment." It takes practice, but it is very rewarding. * The writing process is a constant source of life and vitality. * Push yourself beyond when you think you are done with what you have to say. Go a little further. Sometimes when you think you are done, it is just the edge of beginning. Probably that's why we decide we're done. It's getting too scary. We are touching down onto something real. It is beyond the point when you think you are done that often something strong comes out. * Let go completely. Let yourself totally be a writer from now on. * In knowing who you are and writing from it, you will help the world by giving it understanding. Melissa, You make the ordinary come alive! Thank you for sharing your blog, it makes the world a better place. I love this! I have to go buy this book now. Thanks for sharing, Melissa! These are the words I needed to read today.